Born and raised in Kuala Lumpur, Malaysia, Paulway is a renowned vocalist. She started her on stage career as a backing vocalist at the age of 10 and started recording radio and television jingles at the age of 14. 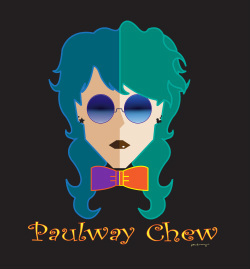 Paulway majored in Art/Graphic Designs and minored in Musical vocals in Taiwan. When she returned to Kuala Lumpur, she spent her early career as a Graphic Designer for the advertising industry. After a few tiring years, she returned to her singing career as a professional vocalist and a musical performer. Paulway exudes a cool mystique presence. Whether its performing in a musical or just singing her favorite Disney songs, Paulway never fails to showcase her powerful and ethereal vocals. One minute she sings in a soft-spoken undertone, the next you will be completely blown away by a voice that resonates an alluring intensity. Paulway has over ten years of musical theater experience performing for a Chinese Malaysian theater group in Kuala Lumpur and has received nominations for the Best Leading Role for her performance in "Jewel of Tibet the Musical" at the 2009 Boh Cameronian Art Awards and in 2010, she was nominated for Best Supporting Role in "Siddhartha the Musical". During the time, she also worked with pop singers from Malaysia, Hong Kong and Taiwan as a backing vocalist for Malay & Chinese concerts, award shows and albums. And in 2003, Paulway represented Malaysia as a performing guest in "The Sound of Human's World Concert" in Taipei and Kaohsiong, Taiwan. Paulway was also a vocal instructor of many years teaching children of all ages to adults. In 2006, she received the "Award of Excellence" in Pop vocal from the Trinity (London) Examination Board. And during 2007, Paulway had the honor of being the lead vocalist for Malaysia campaign- "Visit Malaysia Year- Malaysia Truly Asia", mandarin version. She successfully hosted her very first recital "The Sound Of Musical" in Kuala Lumpur in 2010. Recent projects includes Voicing for Yasmin Ahmad's "Talent Time the movie" and UNICEF Documentary for the 2010 Shanghai World Expo - 舞语. Paulway’s passion for art and music came at an early age of six where she was influenced with Disney animation from her parents. 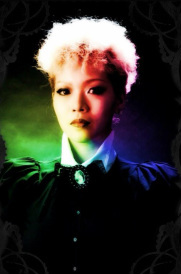 At the age of 12, she began building her passion and skills as a vocalist throughout her childhood. Disney animation was a big influence in her early years and have brought her to where she is today. Now residing in San Francisco and being a huge Disney fan that she is, Paulway was thrilled to find out that a museum honoring the man behind the magic, Walt Disney, was to open on October of 2009. In a debut performance in San Francisco to honor Walt Disney for all the great magic he has created for people of all ages, “A Tribute to Disney” Recital by Paulway Chew was hosted at the San Francisco Conservatory of Music on June 18, 2011. After a successful recital, Paulway was invited as a special singing guest at the 2nd anniversary event at the Walt Disney Family Museum on October 1st, 2011. She was also invited to perform again the musical recital, "A Tribute to Walt Disney", at the Walt Disney Family Museum on February 11, 2012. Ever since visiting the museum and attending many discussions with talented Disney artists and directors, etc., Paulway decided to combine both of her talents to continue and pursue her career.